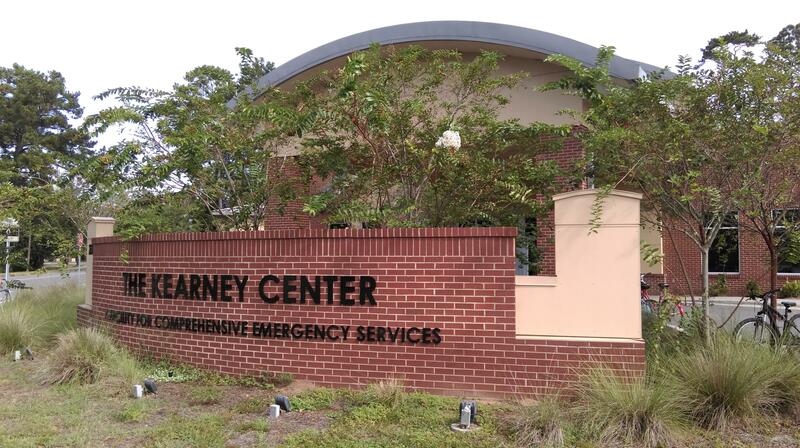 Tallahassee’s Kearney Center is the only emergency homeless shelter between Gainesville and Pensacola. But its mission has gone well beyond simply providing hot food and a place to stay for those who have nowhere else to go. Since it opened two years ago, the Kearney Center’s Director of Emergency Shelter Operations has been Jacob Reiter. Which means, said Reiter, figuring out how to help those individuals obtain that housing. That’s where Chuck White enters the picture. A long-time Tallahassee real estate developer, community leader and homeless advocate, he’s the Kearney Center’s employment specialist. Meaning, says White, the Kearney Center can in effect act like a temporary employment agency. That fact, Reiter said, flies in the face of the conventional wisdom that homeless people are lazy freeloaders who don’t want to work. “And that’s definitely a stereotype that goes along with homelessness that a lot of people have. But we certainly don’t see that here. A lot of folks that come here are actively looking for work,” he said. But for any number of reasons, some of those who wind up at the Kearney Center may not have even basic job skills. So White explained there are programs to give them those skills. “The ‘Forward March’ program, which we operate out of our center here, works with people in getting their resumes together, how to apply for a job…these are skills that many of us take for granted, but some of the folks that we serve have just never been educated in this particular arena.” White noted “Forward March” is funded by the U.S. Department of Defense. The Kearney Center also partners with CareerSource Capital Region. It helps those with more technical skills find jobs. There’s also “Ready4Work”, which assists ex-offenders with getting into the workforce. And then, said White, are those who had great careers and lost them. “Within our center we’ve had CPAs, we’ve had attorneys, we’ve had ex-NFL players; we’ve had different types of professionals come in here and found themselves down on their luck and it’s taken some work on the part of Jake and his staff and all the folks here including our partners in the community to actually get these individuals out.” Which, as Jacob Reiter insisted, is the real purpose of the Kearney Center. “But we’re seeing people move out every month. So we’re also getting new folks coming in. But the idea is we’re assisting people moving out as quick as we can into more stable housing.” And, by definition, you’re no longer homeless when you’ve got a home.